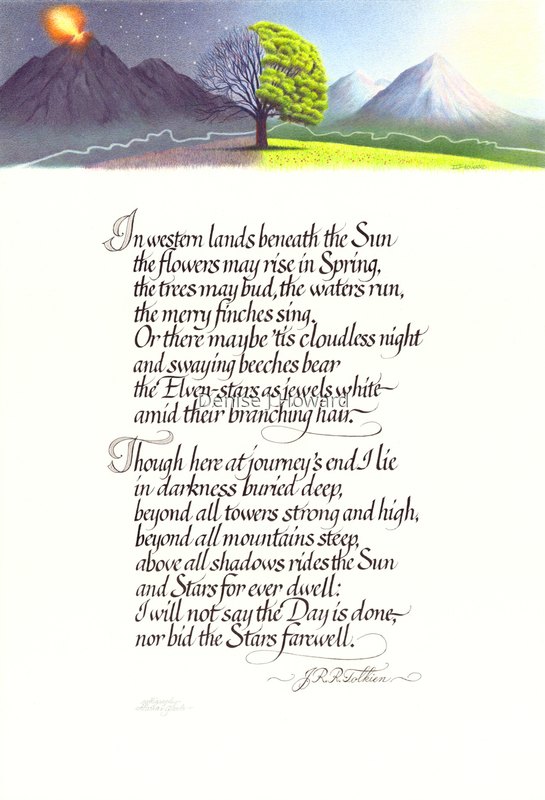 A collaboration between me and esteemed calligrapher Marian Gault, an interpretation of my favorite poem by JRR Tolkein from "The Lord of the Rings". The scene is entirely from my imagination, but the tree is a a beech. Due to copyright on the poem, neither the original or prints are for sale; this was a personal project for my own enjoyment. Ink and colored pencil on Stonehenge paper.